CNN notes its coverage of the Gulf Coast oil spill. CNN Press Release: CNN leads the pack with extensive coverage of the Gulf Coast Oil Spill, beginning with the initial explosion in April and continuing with coverage of the damage to wildlife, careers and tourism as a result of the oil spill. CNN’s Anderson Cooper, Kiran Chetry,David Mattingly, Ed Lavandera, Reynolds Wolf,Rob Marciano and Chad Myers talking with the key stakeholders and breakdown the causes and the solutions and keeping them honest as they are presented to the public. CNN.com special section on the Oil Spill. May 27 - CNN's Kiran Chetry talks to a Louisiana shrimper who is feeling the consequences of the Gulf Coast oil spill. 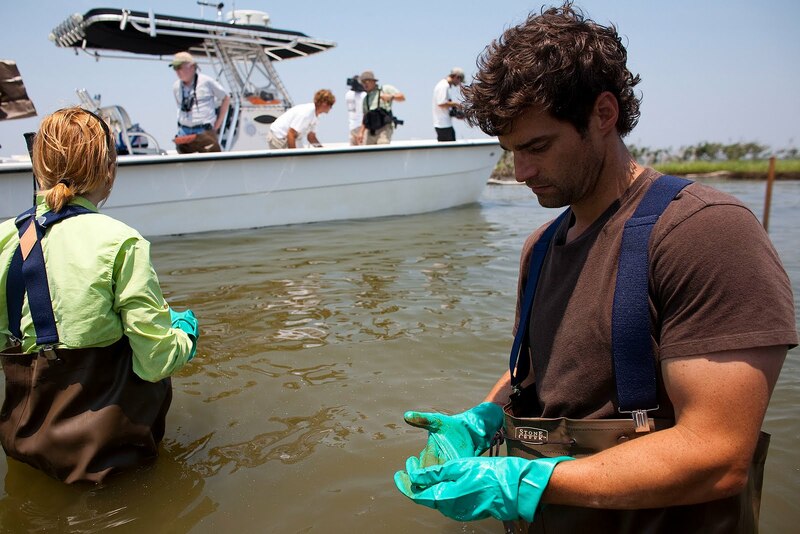 May 27 - CNN's Rob Marciano gets a closer look at the how the Gulf Coast oil spill impacts sea life. May 26 - According to a new report, inappropriate gifts and other abuses, occurred at the agency overseeing oil drilling. May 26 - CNN's David Mattingly reports something's missing under the oil spill. May 26 - Rep. Bart Stupak says BP was aware of warning signs in the Gulf Coast and that there could be dozens more unsafe rigs. May 26 - James Carville and Mary Matalin tell CNN's John King that Pres. Obama needs to take more action to clean up the oil spill. May 25 - The Department of Commerce declares a fisheries disaster in the Gulf Coast region. CNN's Rob Marciano reports. 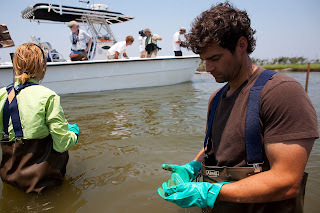 May 25 - CNN's Ed Lavandera reports on the fight between BP and the EPA over which chemicals to use on the oil spill. 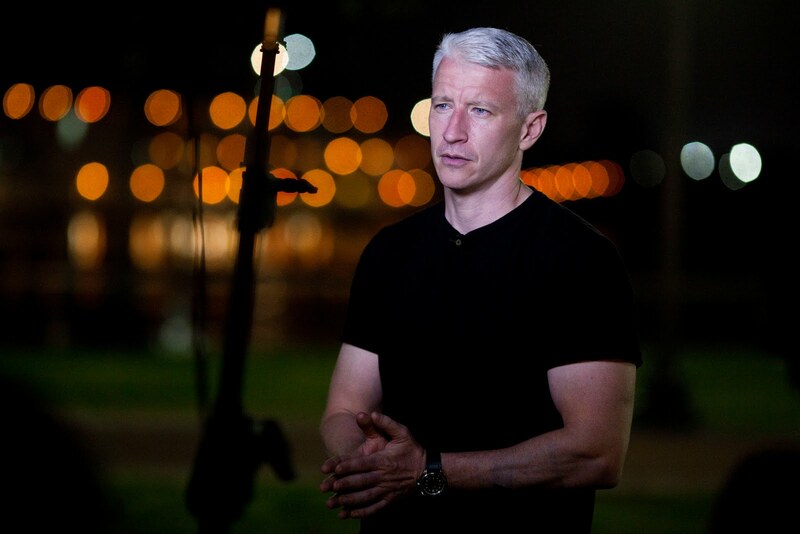 May 24 - CNN's Anderson Cooper talks with critics who discuss the effects the BP oil spill is having on wildlife. May 24 - CNN's David Mattingly gets an exclusive look at the oil spill, using CNN's own ROV camera to go 50 feet underwater. May 24 - Jean-Michele Cousteau talks with Rick Sanchez and Brooke Baldwin. May 21 - Some of the largest fish in the Gulf Coast are now threatened by oil. CNN's Rob Marciano reports. May 21 - CNN's Ed Lavandera reports on BP's effort to use other substances to disperse the oil gushing from their pipes. May 20 - One month after the spill in the gulf, heavy oil has hit the marshy coast of Louisiana. CNN's David Mattingly reports. 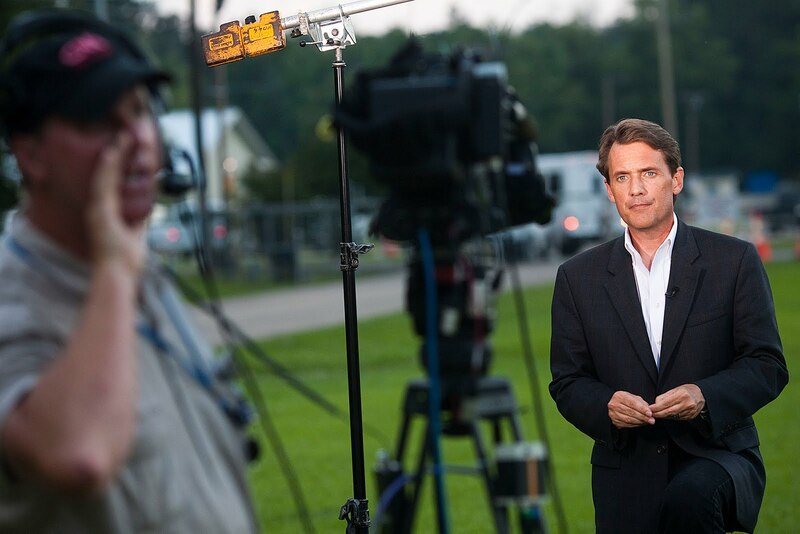 May 19 - CNN's David Mattingly and his team tour the oil spill only to find that it's thicker than expected in the wetlands. May 19 - Louisiana state officials say oil from the BP well has found its way ashore. CNN's David Mattingly reports. May 19 - CNN's Anderson Cooper asks BP executive Bob Dudley tough questions about the Gulf Coast oil spill. May 14 - CNN's John Roberts speaks with BP's COO on concerns that the Gulf Coast oil spill could be worse than expected. May 14 - Fmr. Lt. Gen. Russel Honore Talks About the Oil Spill in the Gulf of Mexico. estuary from the oil spill. May 13 - Dauphin Island, Alabama, wages a war against the oil spill at sea. CNN's Reynolds Wolf reports. May 9 - CNN's David Mattingly reports that the first attempt to cap the oil leak has failed. May 5 - CNN's John Roberts talks to a BP official about clean-up and containment efforts in the Gulf Coast oil spill. April 29 - CNN's Reynolds Wolf explores a number of options being utilized to keep the Gulf oil spill from reaching land.